Owen Strachan, The Colson Way: Loving Your Neighbor and Living with Faith in a Hostile World (Thomas Nelson, 2015). 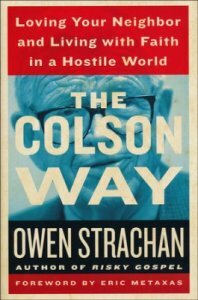 The Colson Way, by Owen Strachan, models, urges and inspires a new generation of courageous Christians to engage and to lead. Wanted: Torch-bearers in the lineage of Augustine, Luther, Wilberforce, Bonhoeffer, Schaeffer, Henry and Colson. (Where does one stop naming names of heroes? Earl Palmer, Bill Edgar, Os Guinness, Nancy Pearcey, Dallas Willard, Stan Mattson and countless more). Give this book to young people wise enough to be mentored. What was Chuck Colson’s “way”? It was the way of courageous, creative and articulate love in a hurting world. It is the singular hope of the gospel for those in the darkest jail cells and in the most corrupted seats of power. Chuck was foremost about the Kingdom of God, and it follows that he also loved America. We might think of him as a Christian patriot, a loving gardener, who rightly stewarded the culture and time in which God placed him. 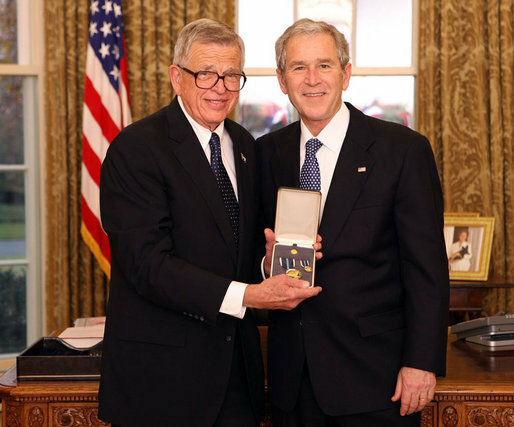 Chuck Colson with President George W. Bush after receiving the Presidential Citizens Medal, December 20, 2008. Image: Chris Greenberg / Wikimedia Commons. Chuck was a thoroughly converted man who contended for biblical truth as the highest love for human beings. As every gardener knows, where we leave a void, something less than the gospel fills it. Chuck stood God’s ground in public debate with Christian wisdom, grace and truth — because of love. Sometimes silence is golden. More often, silence is yellow. Cowards too often give up the ground of culture to more aggressive challengers, and to the destruction of human lives. This tendency must be reversed, and this book can help do it. Because of love, Chuck was found in the darkest prisons, where Jesus would be shining light, touching the forgotten with warmth and hope. Because of love, and again like Jesus, Chuck also entered the institutions of power so that people would learn to think and act in ways that do not lead them and others to prison. Love leads. It is proactive. He went to universities where ideas form the minds and thus the lives of students. He went to Capitol Hill to discuss policies that shape lives and society. He created the Centurions program to teach Christian worldview and truth for human flourishing. Wanted: Torch-bearers in the lineage of Augustine, Luther, Wilberforce, Bonhoeffer, Schaeffer, Henry and Colson. 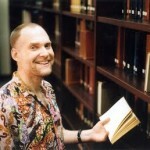 I had the honor of meeting Chuck when he spoke at Harvard Business School in the 1990s. 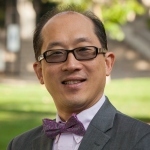 He warned students of the danger of relativism and urged them towards the anchor of moral law and biblical truth. He later endorsed our book, Finding God at Harvard. He encouraged our unified and symphonic witness, The Veritas Forum, at Harvard and far beyond. In 2008, I began to study the forces at work behind the “fundamental transformation” of America, and my mind exited the ivory tower for the real world. As I traveled, I would sincerely say to Christian leaders, “The Muslim Brotherhood has a strategic plan for America. The so-called Progressive movement is one hundred years into their plans for America. So, what is the Church’s strategic plan for America? How can I volunteer?” What normally followed was a blank stare. 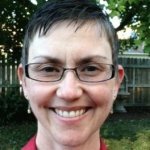 About the Author: Kelly Monroe Kullberg began The Veritas Forum at Harvard in 1992, now in nearly 200 universities in America, Canada, Europe and Asia. Veritas explores the world's hardest questions in relation to biblical truth and Jesus Christ. She taught senior electives at Harvard College in worldview through film while serving as a chaplain to the Harvard Graduate School Christian Fellowship from 1988 – 2000. 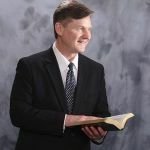 Kullberg edited and co-authored the Boston Globe bestseller Finding God at Harvard: Spiritual Journeys of Christian Thinkers, and authored its autobiographical sequel Finding God Beyond Harvard: The Quest for Veritas. 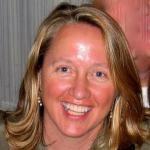 In 2008, she co-authored A Faith and Culture Devotional: Daily Readings in Art, Science and Life. Passionate for cultural renewal, she is now developing The America Conservancy to unite leaders in a strategic plan for American renewal.